Hot Destinations - beautiful pattern tourist subjects with a wide range of flexible and functional parameters. 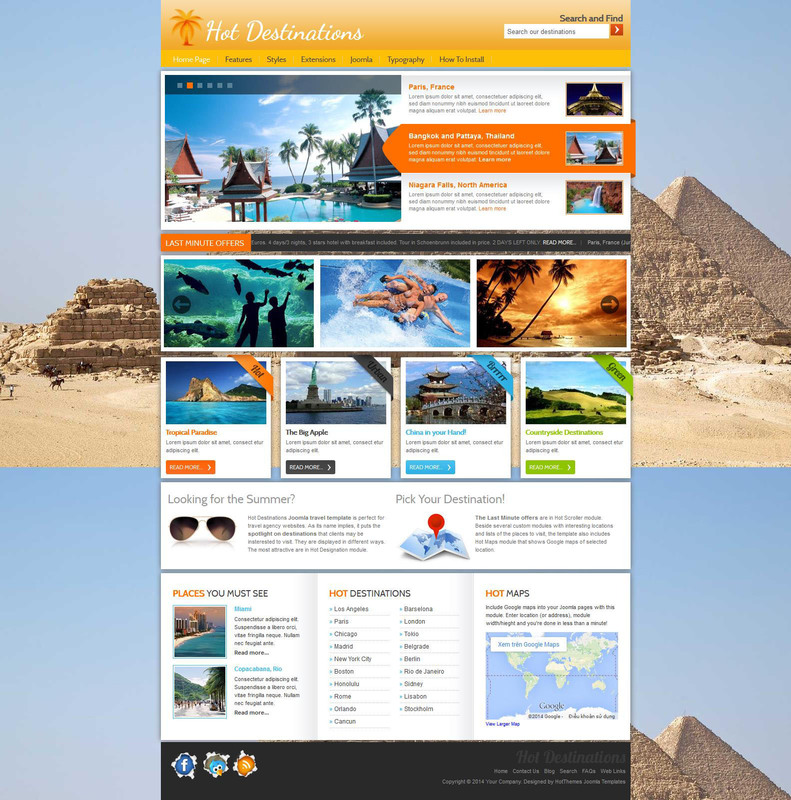 Gorgeous design layout in combination with additional extensions is perfect for creating sites of tourist trips. This template comes with additional modules club: Hot Designation, Hot Scroller and Hot Maps, which are perfect for a stylish display on the websites of travel agencies. Elegant design pattern is presented in four color themes that can be easily changed through a special tool in the settings of the template. Flexible modular design also has the ability to adjust the width of columns and module positions.